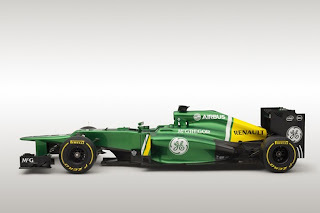 F1 Asphalt: Williams and Caterham - Illegal or Genius? Williams and Caterham - Illegal or Genius? All teams have been working on their own version of the coanda exhausts since they were first pioneered by McLaren, Sauber and Red Bull. 2012 saw teams like Lotus introduce it as late as Korea to try and gain some benefit from this aero solution, and then subsequently came their first win at Abu Dhabi. The launch of both Williams and Caterham were overshadowed by talk that the coanda exhaust solution adapted by both teams could prove to be illegal. Yesterday the FIA said that they were of the opinion that both their devices were indeed illegal and the same was conveyed to the teams. Both the teams have slightly different implementations to achieve the coanda effect on their cars with the FW35 featuring a two part vane behind the exhaust, mounted at the top of the U shaped channel into which the exhaust pipes exit, where as the Caterham has a similar solutions but with a one piece part placed a little lower. At the launch of the Williams at Barcelona on Tuesday technical head Mike Coughlan was sure that the Williams interpretation of the rules meant that their device with a two part vane was legal, while he thought that the Caterham design was illegal as it was a single piece and was fully enclosed in the Coanda channel. According to the FIA, the exhaust must not directly affect the aerodynamic performance of the car, as stipulated in the technical regulations. The regulations state that the sides of the coanda channels are not allowed to converge in any way, meaning they must be vertical or slope outwards. Ross Brawn at Mercedes said that, "It is a technicality, but if you read the regulations word for word, Williams are on the safe side." But Auto Motor und Sport correspondent Michael Schmidt said that Charlie Whiting had confirmed that both teams "indeed violate the rules". A spokesperson from Williams F1 team told Autosport, "The team spoke to the FIA this morning, when we were approached by them, which is when they gave us their view. The team are seeking further clarification on this and a decision as to whether the design will be carried forward will be made before the first race." 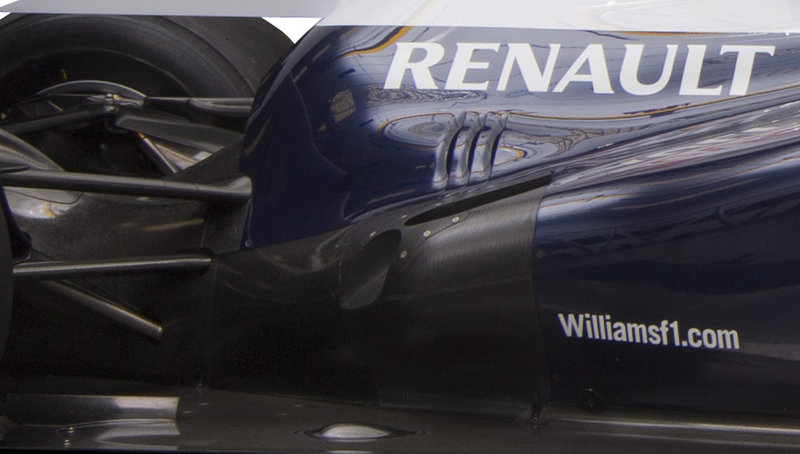 The team can run their cars during testing with any device, even if it is deemed illegal by the FIA. During the race events, if the FIA finds that any team is breaking the word or spirit of the regulations, they can refer the same to the stewards who will decide on any further course of action. Violations of the spirit or intent of the regulations have been allowed to slide in the past, for example the engine mapping solution on the Red Bull in 2012 at Hockenheim, or Brawn GP's double diffuser in 2009. It will be interesting to see how this all pans out, and if Williams and Mike Coughlan have got a head start on the rest of the grid. Bottas and Maldonado are both very happy with the handling of the new Williams, and they might just be able to stretch their legs at Australia and leave everyone else in the dust. But as it goes in Formula One, it ain't over till the fat lady sings. Ferrari have also started some exhaust related issues. they will be launching a newer exhaust in the final test. and they have stated after looking at the williams and caterham they have an idea.. so lets see what ferrari cooks up for next test.